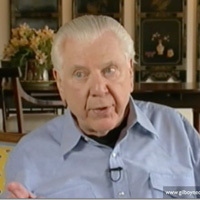 Gil Boyne Online is part of Gil’s legacy of valuable teaching material, created from over 55 years of his hypnotherapy knowledge and experience, and is a fantastic resource for hypnotherapists of all levels, and especially for those who missed the opportunity to see Gil at work while he was alive. The site is a treasure trove of Gil Boyne’s teaching material, including articles, videos, case studies with commentary, inductions and previously unseen interviews that will let you take your knowledge of hypnosis to a whole new level. This is a fantastic resource for hypnotherapists of all levels, and especially for those who missed the opportunity to see Gil at work while he was alive. Find our more and order Gil Boyne Online here.